Eating vegetables was rarely part of our diet when we lived in Colombia and even after we arrived in this country. Truth is, I ate my first piece of broccoli when I was an adult, the same thing happened with other vegetables like asparagus and especially Brussels sprouts, which were completely new to me. Many people may get upset about this, but to be honest, many Colombians, not all, but many, don’t eat that many vegetables unless it’s a small cabbage salad and/or tomato slices. The reason I wanted to include this recipe on the blog was mainly to change the mentality that eating vegetables is not pleasant, because it’s the complete opposite. 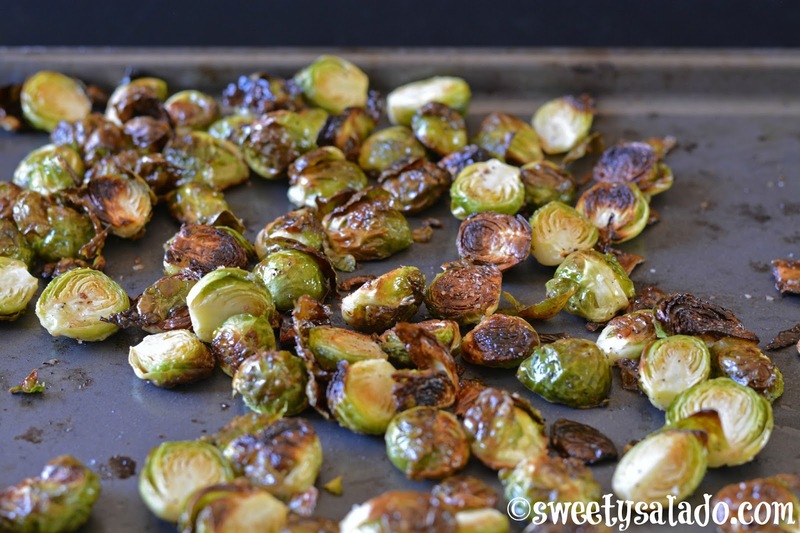 These roasted Brussels sprouts are amazing and I’m not saying that to convince you to make them, I’m saying it because it’s true. The flavor they get from the olive oil, garlic and salt and pepper and from roasting them in the oven is delicious. The best part is that you can use the same technique to roast other vegetables like broccoli, cauliflower, asparagus, zucchini, and many others. They come out delicious and super healthy. Preheat oven at 400ºF (204ºC). 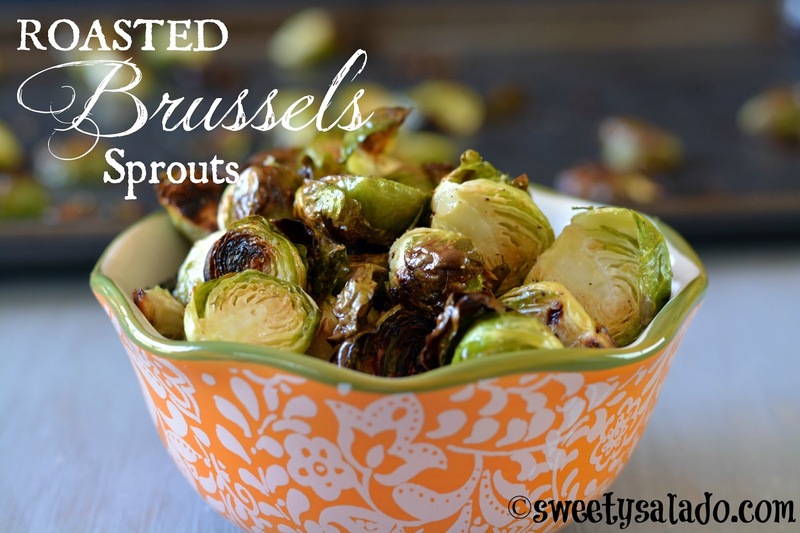 Cut off the ends of the Brussels sprouts with a knife and remove any bad leaves. You can also cut them in half or in quarters if you prefer. Place them in a large bowl with the oil, garlic powder, salt and pepper and toss them to make sure they're covered well. The, spread them on a baking sheet and roast them for about 20-30 minutes or until they reach the golden brown color you prefer. Make sure to stir them halfway through the roasting process to make sure they're evenly browned. Serve immediately.